Boo! My camera and laptop are refusing to speak to each other right now. So, here are some first ever iPhone outfit pictures! I suppose a simple camera is sufficient to capture my understated ensemble. 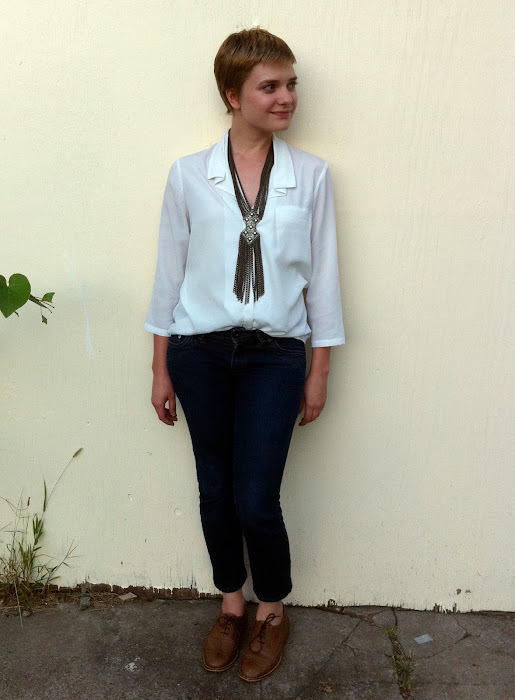 Today was all about quick and easy, so I fell back on menswear classics: white button-up, blue jeans and oxfords. I found myself yearning for a chunky wristwatch to complete the look. I'll have to keep an eye out at thrift stores! cute cute cute... I love this outfit!! I might have to try something like this... its so simple yet sophisticated, and you look great. the pic turned out pretty good too considering you used your iphone!! Such a simple outfit, but that necklace gives it a really nice punch. Love those shoes. I was really hoping those shoes were from Payless because they're so amazing! The pictures I take on my phone definitely do not end up looking that good! 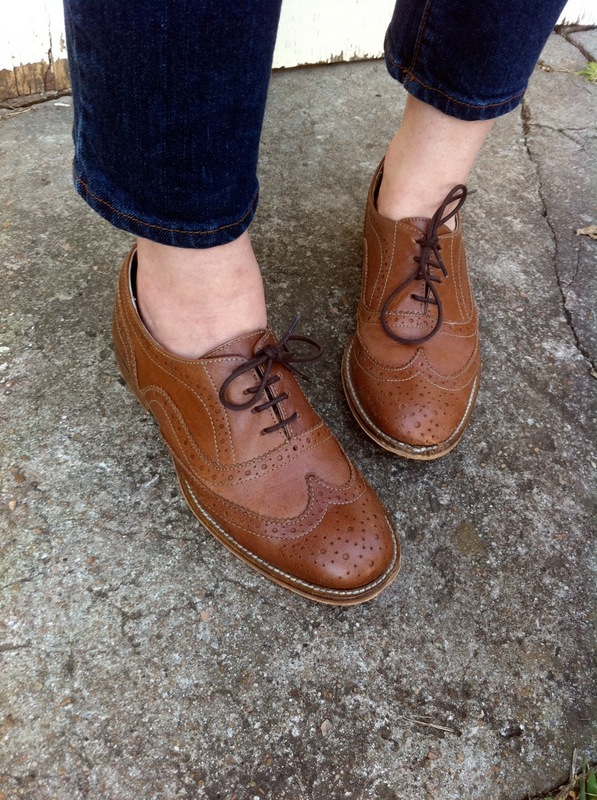 I love the oxfords. Love the shoes, and you look really good in this outfit. I like the simplicity of the outfit and I was totally thinking of snagging that necklace from F21 as well, it makes a statement for sure! I love this outfit! & I have the sister to this necklace, it's on my latest blog post! Sometimes my iphone actually takes better pictures than my camera~ it's the iphone 4 with HD. Love the outfit! You should just pick up a cheap (~$10) card reader, and thus skip having to connect your camera to your computer. I made the move a long time ago and never looked back - dealing with a camera's program & recognizing it etc etc is just an unnecessary pain! Hey Katy! I found you from Jen Loves Kev the other day, and I love your blog. I've really been trying to spice up my wardrobe lately, and you inspire me so much. But then I go to my closet and nothing seems to come together. Anyway, I love this outfit - I've been wanting some oxfords for awhile now, and yours are awesome! I have those shoes and love them! Hope your technological difficulties get better! you are such a great accessorizer! If you can't find something at the thrift stores try the mens' section at Target, Walmart or even drug stores because they all have some great, affordable large watches. Cute! 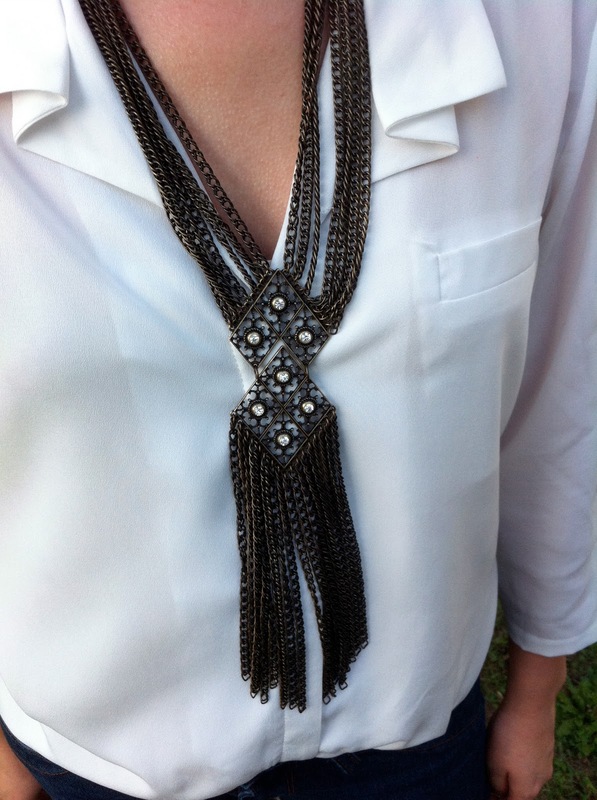 I love the fancy bolo for embellishment!